Vulgar wants to be a Viking, a real Viking, because, unfortunately, his people seem to have renounced their old ways and become a rather boring bunch. Vulgar reminisces fondly upon their history of rampage and pillaging. Vulgar has great hopes to learn more about it on History Day, but when this turns out to be a huge disappointment, Vulgar decides to take matters into his own hands: with the help of best friend Knut and hanger-on Princess Freya, he hatches a plan to do a little bit of looting of their own. Their target: the bakery. Their coveted treasure: rock cakes! 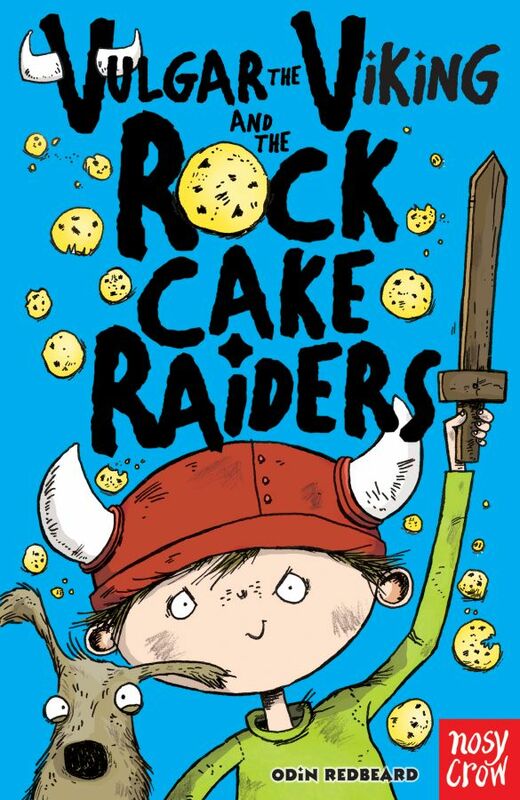 The first book in the series, Vulgar the Viking and the Rock Cake Raiders introduces a new character who will undoubtedly be a hit with young audiences: everyone loves a hero who is a bit of a rascal, and Vulgar certainly is that. Thirsty for adventure, Vulgar and his friends find themselves in unlikely and comical situations; with a few gross elements such as eating bogeys and juggling elk poo added to the mix, this story really is a cracking little read that will keep young readers entertained all the whole way through. Sarah Horne’s hilarious illustrations add to the overall wacky and “naughty but funny” atmosphere of the story. The illustrations also break the text, making it more manageable for early readers. Vulgar the Viking is a great little series which has all the ingredients to become a firm favourite with young boy readers, but the presence of Freya will hopefully also make the stories interesting for young girls. This series will also be perfect for young readers expressing an interest in Cressida Cowell’s How to Train a Dragon series but who are not quite ready for the density of the text. Vulgar the Viking and the Great Gulp Games has just been released.